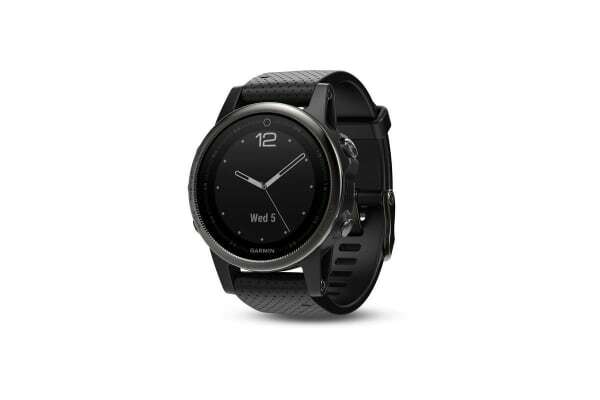 Engineered for durability and style, the Garmin Fenix 5s Silver with Black Band is the perfect fitness monitor for any workout. 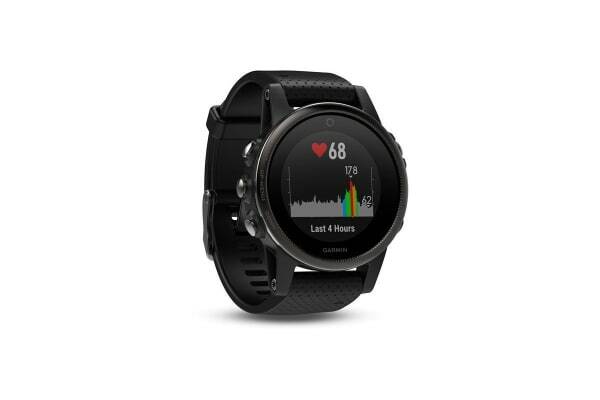 Packed with features including built in Wi-Fi connectivity and multiple activity profiles, the Garmin Fenix 5s Silver with Black Band will let you track your fitness goals no matter what workout you are doing. Get stats on your workout straight to your wrist and stay connected to friends and family with smart notifications. 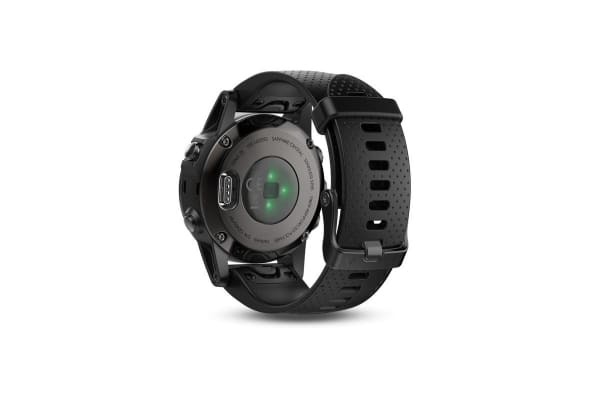 Featuring a stylish design with stainless steel accents and chemically strengthened glass, the Garmin Fenix 5s not only looks great but is amazingly tough. Customize your look by easily changing the band and even update the face of the Fenix 5 to an image from your phone with the free Garmin Face It app. This stylish fitness monitor also features a HD full colour display that is built with transflective technology designed to make it easy to read even under intense sunlight.